PALM COAST – Some 350 Flagler County children will be making music tonight (Feb. 11) in Flagler County at the annual Strings Around the World concert. 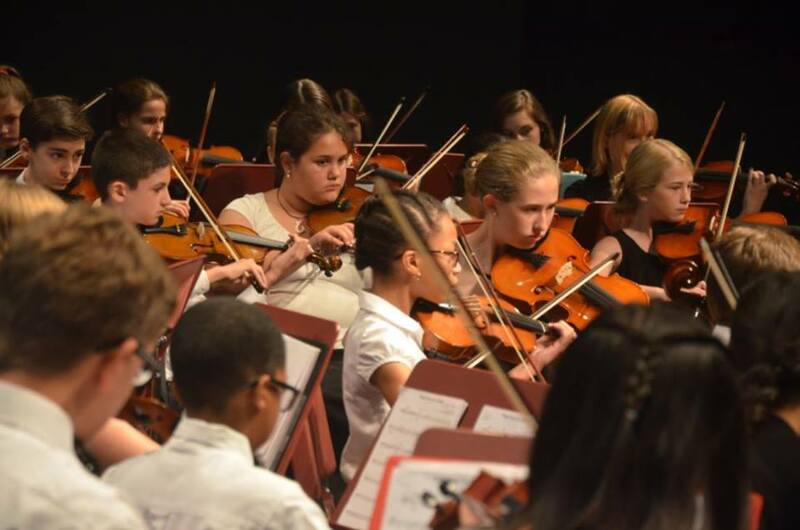 The five orchestras that make up the Flagler Youth Orchestra will be performing at Flagler Auditorium at 7 p.m. Some of the students are in their first year, others are longtime musicians including the Harmony Chamber Orchestra. The pieces they plan come from around the world and include English, German and North American folk songs as well as pieces from the Far East, Rhythms of Africa and the rousing Spanish Dance No. 5 by Enrique Granados among others. The Flagler Youth Orchestra Faculty Ensemble will perform Scott Joplin’s Maple Leaf Rag. FYO is made possible by the Flagler County School District and includes some 350 students ranging in age from third to 12th graders. Tickets are $8 for adults and $3 for children 17 and under. A dollar from each adult ticket goes to the Flagler Auditorium’s Arts in Education fund.